So, in three weeks, we move on to the Monsoon as liveaboards, and I won’t have a garage to work in. 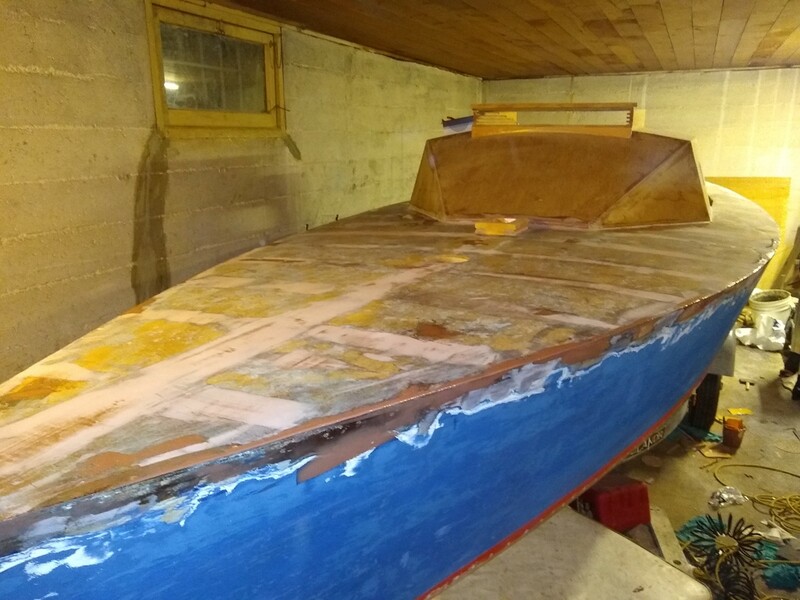 Right now, it looks like I’ll be finishing up the Lady Jane at the Center for Wooden Boats‘ northlake shop. Unfortunatly, I’ll be working on it outdoors, so i’m in a race against the clock to get it ready to live outdoors. It’s been a really busy couple months. I’ve been working alot of overtime and weekends at the shipyard and I have a two-day safety at sea class to attend this weekend. It’s been a real struggle to make progress. Here’s a quick run down of what I’ve been able to get done. The cockpit, cabin interior, and lazarette all now have two coats of Bligekote. This old wood soaked in that paint like you would not believe. I went thru two gallons! 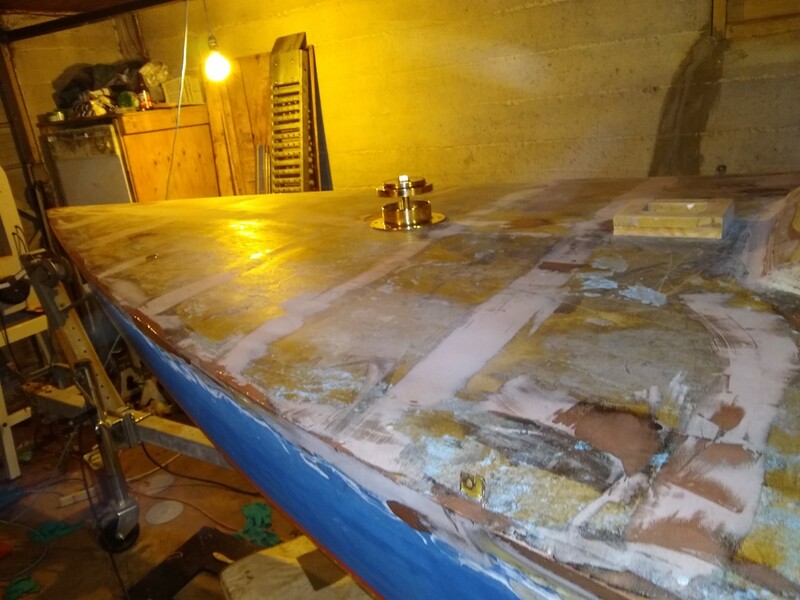 Fairing in the deck and hull has progressed nicely- i’m on my second application of fairing compound on the deck. 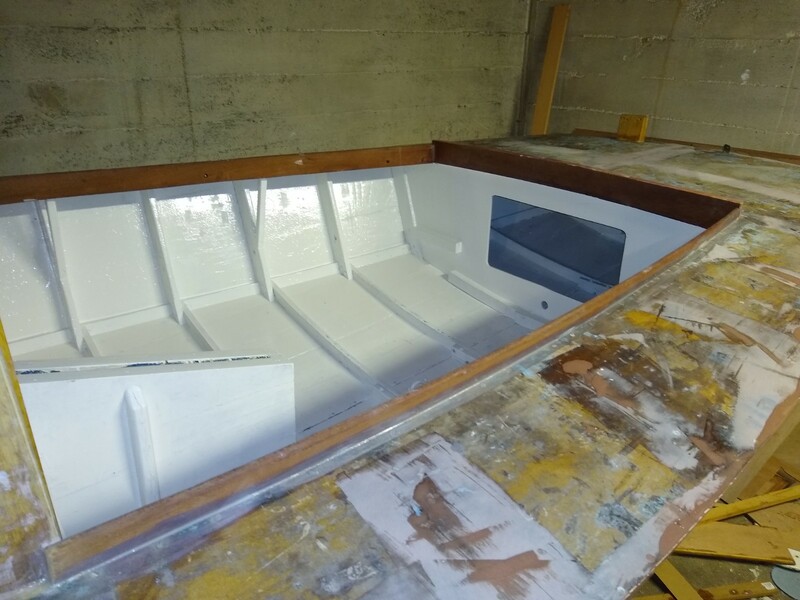 once I sand the hull and deck and seal the cabin top, it’ll be ready for primer, then paint. This isn’t progress, but I’m happy to say some of the ‘jewelry’ is here. 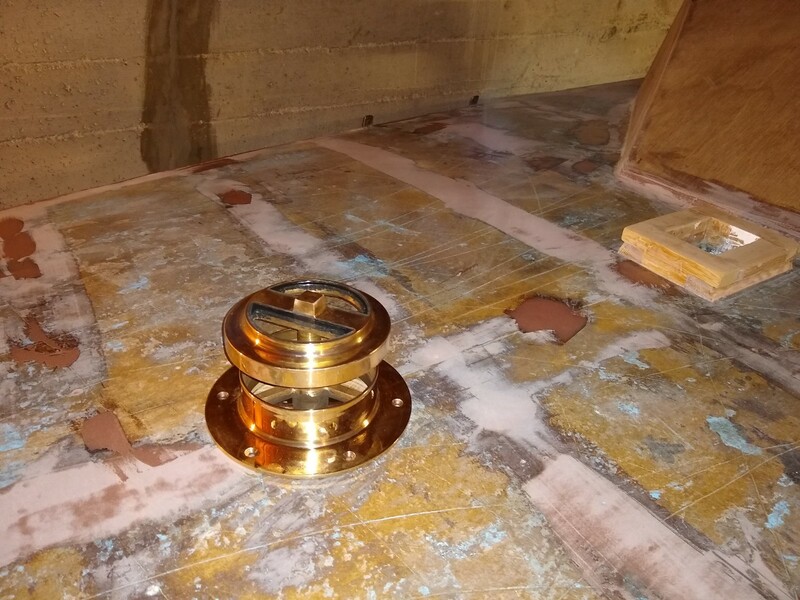 Straight from Davey & Co in London, the glazed foredeck vent has arrived. This vent screws closed, and had two small glass windows to let light into the cabin below. it’ll also provide much needed ventilation at anchor. In other news, I did it. I’ve put in an application for R2AK’s first leg. Currently waiting to hear back from race boss about if my appliacation will be accepted. I’ve decided to take a year doing events and trips in this boat before I consider trying to go to Ketchikan in it. One of the saving graces on the minnow was my familiarity with the vessel; I need to take some time to get to know this boat. I’m looking at my summer event schedule, and I’d love to do the Salish 100 but i don’t know if i can get the time away from work and family and life to do it this year. I really wanna shoot for the barefoot raid, and maybe another pocket yacht palooza and a showing at the wooden boat festival. Maybe some duck dodges. I’m looking forward to the summer.